My daughter started Grade 1, which means that I have a looooong road ahead of me for packing school lunches. With a picky eater, and my desire to attempt to give her organic and healthy food options, easy school lunches can be tricky. Thankfully there are some great options available from SPUD Edmonton! They have local and organic produce, but they also have a lot of other food products, some that I have not seen anywhere else. Here’s what I got in my last box that helped make a week of easy school lunches for my daughter. These are 2 of the combinations I made from the box ingredients – and I mixed up the combinations during the week. Lunch 1: Pretzel sticks from Neal Brothers (my daughter’s new favourite! And first time I’ve seen them available! 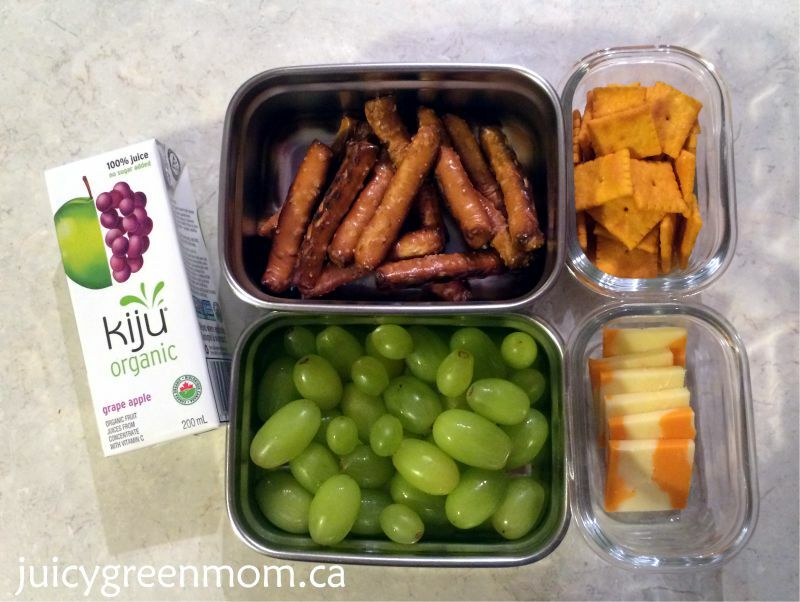 ), bite size cheddar cheese crackers from Late July (another of our favourite organic snack brands), organic green grapes, slices of organic marble cheese and kiju organic juice box. Lunch 2: Tamari & Seaweed organic rice cakes from Lundberg (I admit I love them as much as my daughter does! ), sliced breakfast sausages from Sunworks Organic Farm (less “herby” than their chicken sausages, so my daughter likes them better), sliced organic marble cheese, sliced local red peppers, and kiju organic juice box. 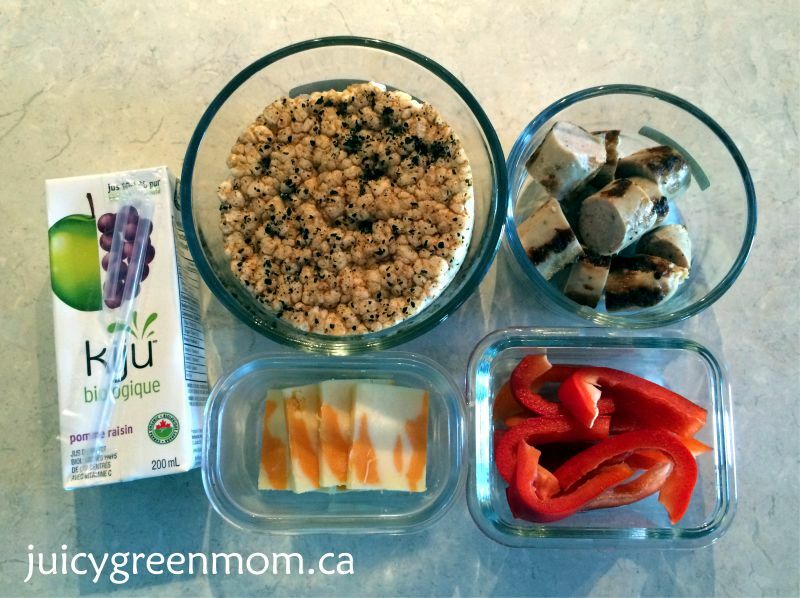 Since my daughter doesn’t like a lot of “mixed” dishes, being able to have little servings of different healthy and organic snacks and change it up all week makes planning her lunches SO MUCH EASIER! Plus I can take some of it for lunch too – added bonus! 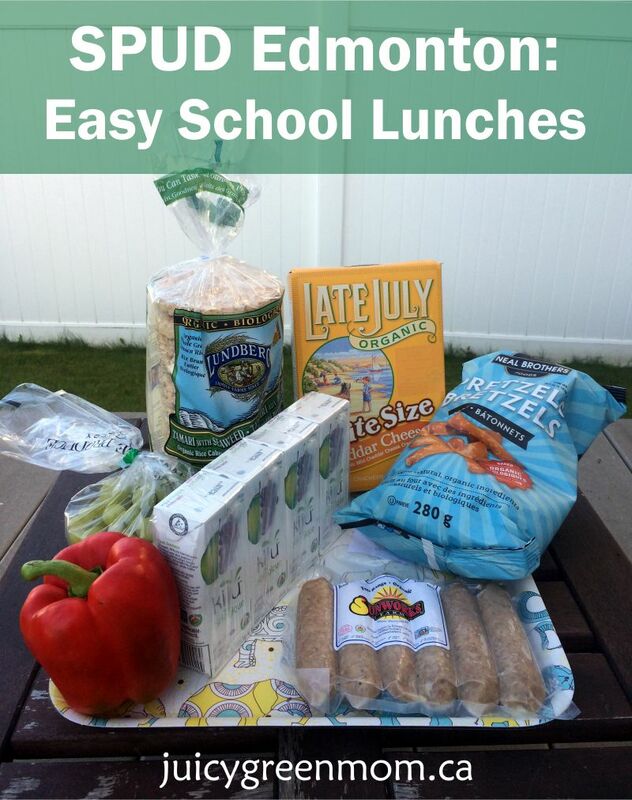 What are your favourite easy school lunches?